Author: D. Russell Humphreys, Ph.D. Yet our galaxy is supposed to be at least 10 billion years old. Evolutionists call this “the winding-up dilemma,” which they have known about for fifty years. They have devised many theories to try to explain it, each one failing after a brief period of popularity. The same “winding-up” dilemma also applies to other galaxies. Evolutionists explain this discrepancy by assuming that (a) comets come from an unobserved spherical “Oort cloud” well beyond the orbit of Pluto, (b) improbable gravitational interactions with infrequently passing stars often knock comets into the solar system, and (c) other improbable interactions with planets slow down the incoming comets often enough to account for the hundreds of comets observed.4 So far, none of these assumptions has been substantiated either by observations or realistic calculations. Lately, there has been much talk of the “Kuiper Belt,” a disc of supposed comet sources lying in the plane of the solar system just outside the orbit of Pluto. Even if some bodies of ice exist in that location, they would not really solve the evolutionists’ problem, since according to evolutionary theory the Kuiper Belt would quickly become exhausted if there were no Oort cloud to supply it. As far as anyone knows, the other 24 billion tons per year simply accumulate. At that rate, erosion would deposit the present amount of sediment in less than 12 million years. Yet according to evolutionary theory, erosion and plate subduction have been going on as long as the oceans have existed, an alleged 3 billion years. If that were so, the rates above imply that the oceans would be massively choked with mud dozens of kilometers deep. An alternative (creationist) explanation is that erosion from the waters of the Genesis flood running off the continents deposited the present amount of mud within a short time about 5000 years ago. Calculationsll for many other sea water elements give much younger ages for the ocean. Strong geologic evidences exists that the Cambrian Sawatch sandstone – formed an alleged 500 million years ago – of the Ute Pass fault west of Colorado Springs was still unsolidified when it was extruded up to the surface during the uplift of the Rocky Mountains, allegedly 70 million years ago. It is very unlikely that the sandstone would not solidify during the supposed 430 million years it was underground. Instead, it is likely that the two geologic events were less than hundreds of years apart, thus greatly shortening the geologic time scale. Helium in the wrong places. All naturally-occurring families of radioactive elements generate helium as they decay. If such decay took place for billions of years, as alleged by evolutionists, much helium should have found its way into the earth’s atmosphere. The rate of loss of helium from the atmosphere into space is calculable and small. Taking that loss into account, the atmosphere today has only 0.05% of the amount of helium it would have accumulated in 5 billion years.21 This means the atmosphere is much younger than the alleged evolutionary age. Not enough stone age skeletons. Evolutionary anthropologists say that the stone age lasted for at least 100,000 years, during which time the world population of Neanderthal and Cro-magnon men was roughly constant, between 1 and 10 million. All that time they were burying their dead with artifacts.23 By this scenario, they would have buried at least 4 billion bodies.24 If the evolutionary time scale is correct, buried bones should be able to last for much longer than 100,000 years, so many of the supposed 4 billion stone age skeletons should still be around (and certainly the buried artifacts). Yet only a few thousand have been found. This implies that the stone age was much shorter than evolutionists think, a few hundred years in many areas. Scheffler, H. and H.Elsasser, Physics of the Galaxy and Interstellar Matter, Springer-Verlag (1987) Berlin, pp. 352-353, 401-413. D.Zaritskyet al, Nature, July 22, 1993. Sky & Telescope, December 1993, p. 10. Steidl, P. F., “Planets, comets, and asteroids,” Design and Origins in Astronomy, pp. 73-106, G.Mulfinger, ed., Creation Research Society Books (1983) 5093 Williamsport Dr., Norcross, GA 30092. 4 Whipple, F. L., “Background of modem comet theory,” Nature M (2 Sept 1976) 15. Gordeyev, V. V. etal , “The average chemical composition of suspensions in the world’s rivers and the supply of sediments to the ocean by streams,” Dockt. Akad. Nauk- SSSR DI (1980) 150. Hay, W. W., et al, ‘Mass/age distribution and composition of sediments on the ocean floor and the global rate of subduction,’ Journal of Geophysical Research, 93, No B12 (10 December 1988) 14,993-14,940. Maybeck, M., “Concentrations deseaux fluviales en elements majeurs et apports en solution aux oceans,” Rev. de Geol. Dym Geogr. Phys. 21 (1979) 215. Sayles, F. L. and P. C.Mangelsdorf, “Cation-exchange characteristics of Amazon River suspended sediment and its reaction with seawater,”Geochitnica et Cosmochimica Acta 4-1 (1979) 767. Austin, S. A. and D. R. Humphreys, “The sea’s missing salt: adilenunafor evolutionists,” Proc. 2nd Internat. Conf. on Creationism, Vol. I[, Creation Science Fellowship (1991) in press. Address, ref. 12. Austin, S. A., “Evolution: the oceans say no!,” ICR Impact No. 8 (Oct. 1973) Institute for Creation Research, address in ref. 2. 11 . Merrill, R. T. and M. W. McElhinney, Ile Earth’s Magnetic Field, Academic Press (1983) London, pp. 101 – 106. Humphreys, D. R., “Reversals of the earth’s magnetic field during the Genesis flood,” Proc.lstInternat. Conf. on Creationism (Aug. 1986, Pittsburgh) Creation Science Fellowship (1987) 362 Ashland Ave., Pittsburgh, PA 15228, Vol. 11, pp. 113-126. Coe, R. S. and M. Pr6vot, “Evidence suggesting extremely rapid field variation during a geomagnetic reversal,” Earth and Planetary Science Letters 92 (April 1989) pp. 292-8. Humphreys, D. R., “Physical mechanism for reversals of the earth’s magnetic field during the flood,”Proc. 2ndIntern.Conf. on Creationism, Vol. 11, Creation Science Fellowship (1991) in press (ref. 12). 15 Austin, S. A. and J. D. Morris, “Tight folds and elastic dikes as evidence for rapid deposition and deformation of two very thick stratigraphic sequences,” Proc. Ist Internat. Conf. on Creationism Vol. 111, Creation Science Fellowship (1986) pp.3-15. Address in ref. 12. Gentry, R. V., “Radioactive halos,” Annual Review of Nuclear Science 23 (1973) 347-362. Gentry, R. V. et al, “Radiohalos in coalified wood: new evidence relating to time of uranium introduction and coalification,” Science 194 (15 Oct. 1976) 315-318. Gentry, R. V., “Radiohalos in aRadiochronologicaland cosmological perspective,” Science 184 (5 Apr. 1974) 62-66. Gentry, R. V., Creation’s TinyMystery ,Earth Science Associates (1986) P.O. Box 12067, Knoxville, TN 37912-0067, pp. 23-37, 51-59, 61-62. Vardiman, L.,The Age of the Earth’s Atmosphere: a study of the helium flux through the atmosphere, Institute for Creation Research (1990) P.O.Box 2667, El Cajon, CA 92021. Gentry, R. V. et al, “Differential helium retention in zircons: implications for nuclear waste management,”Geophys. Res.Lett. 9 (Oct. 1982) 1129-1130. See also ref. 22, pp. 169-170. Deevey, E. S., “The human population,” Scientific American 203 (Sept. 1960) 194-204. Marshak, A..”Exploring the mind of Ice Age man,” Nat. Geog. 147 (Jan. 1975) 64-89. Dritt, J. 0.1 “Man’s earliest beginnings: discrepancies in the evolutionary timetable,” Proc. 2ndInternat. Conf. on Creat., Vol. 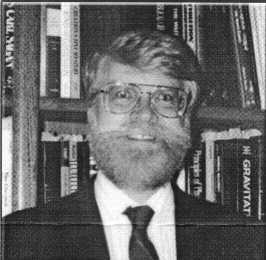 I., Creation Science Fellowship (1990) pp. 73-78. Address, ref. 12.